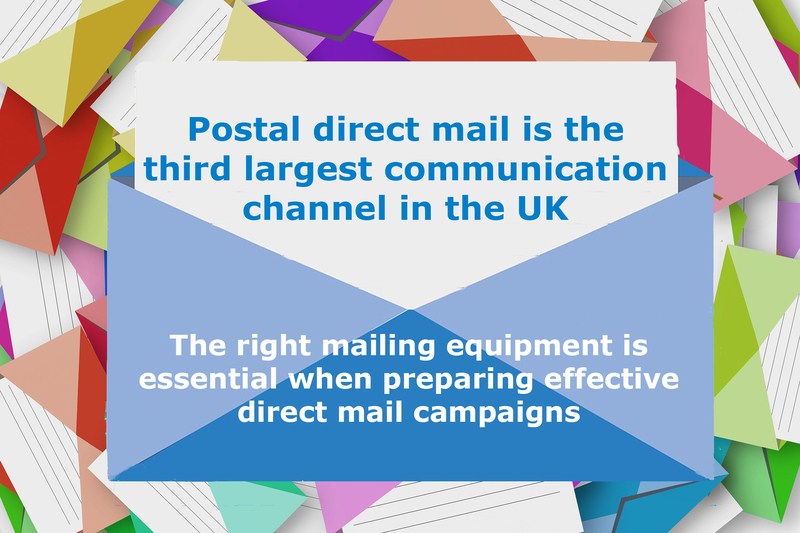 It’s no surprise to hear that to effectively promote to customers, digital marketing, combined with postal direct mail is one of the most effective tools businesses use today. 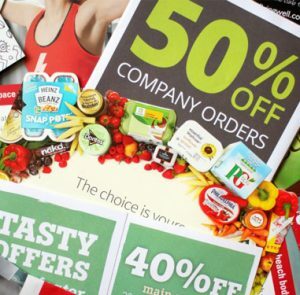 Postal direct mail is the third largest communication channel in the UK (behind Internet & TV*) and a recent Royal Mail study has found that by adding mail to the marketing mix, ROI can be boosted by 12%. This is due to the physical and emotional reactions it can provoke. 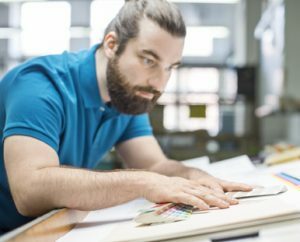 Leading mailing equipment supplier AMS understands it takes a lot of planning to implement postal mail campaigns and that it is essential to have the right tools to run efficiently. 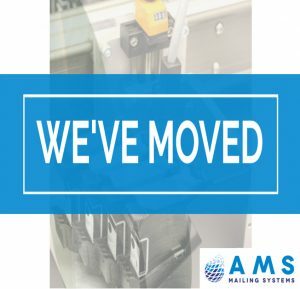 For over 25 years AMS have been specialising in mail preparation solutions and supply a wide range of mailing equipment using the latest technology on the market today. 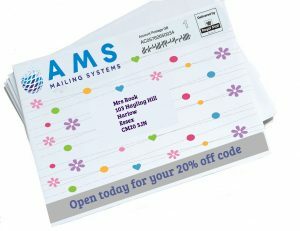 A direct mailer may require an addressing printer for a glossy mailing, verification software to ensure printed barcodes are scanable, a tabbing machine for securing open-ended mail or simply want to print an envelope in colour at high speed. AMS can supply the right equipment for their needs, no matter how bespoke they are. The latest release in our range is the digital S1 envelope and packaging printer which can produce professional full colour print on up to 7,500 high-quality A5 sheets per hour. 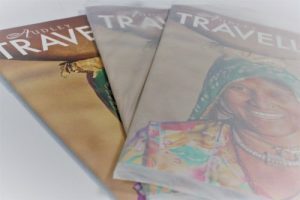 A unique feature is that it can print on to heavy material, padded and card backed envelopes up to 1cm in thickness. The S1 printer can print in full bleed up to 267mm wide and 1016mm in length. The 5 high capacity ink tanks that each hold 250ml of ink, which combined with the long-life print heads, ensures the cost per page to print is kept low. On top of this the high resolution 7” colour touchscreen display includes an easy to use integrated control centre. The S1 colour printer is available now and from AMS directly, for a free demonstration call 01992 460 111 or enquire here.